La orientación a metas ha hecho importantes aportes a la Ingeniería de Requisitos. Las metas refinan la visión global del negocio, exponen el valor de un sistema/software y proporcionan la fundamentación para su desarrollo. No obstante, las bondades obtenidas de la Ingeniería de Requisitos Orientada a Metas no garantizan que los sistemas de software estén alineados con la estrategia del negocio, ni que contribuyan efectivamente a la proposición de valor. Como un medio para mejorar esta situación se plantea la utilización de la Planificación Estratégica en el direccionamiento de la Ingeniería de Requisitos Orientada a Metas, considerando que en este proceso se establecen las metas de más alto nivel y las estrategias del negocio. Dada la existencia de un grupo diverso de técnicas orientadas a metas, el objetivo de esta investigación es evaluar las técnicas de mayor difusión con el fin de determinar cuál satisface en mayor grado los requisitos de un proceso de Ingeniería de Requisitos dirigido por la Planificación Estratégica. La evaluación realizada se basó en el Análisis de Características propuesto por Kitchenham. El grupo de características establecido persigue examinar la capacidad de las técnicas para: (1) el modelado de los conceptos básicos de la Planificación Estratégica, y (2) la representación de metas en diferentes niveles de abstracción y sus interrelaciones. Pass, S. & Ronen, B. (2014). Reducing the Software Value Gap. Communications of the ACM, vol. 57, no. 5, pp. 80-87, May 2014. Blair, A., Lail, J. B. & Marshall, S. (2017). Value Streams. Open Group Guide, prepared by The Open Group Architecture Forum Business Architecture Work Stream, Document Number G170. January 2017. Zave, P. (1997). Classification of Research Efforts in Requirements Engineering. ACM Computing Surveys (CSUR), vol. 29, no. 4, pp. 315-321, December 1997. Brown, G. (2009). Value Chains, Value Streams, Value Nets, and Value Delivery Chains. BPTrends, April 2009. Kaplan, R. & Norton, D. (2004). Strategy Maps. Executive Books Summaries, vol. 26, no. 4 (2 parts) part 1, April 2004. Armitage, H. & Scholey, C. (2006). Using Strategy Maps to Drive Performance. Management Accounting Guideline published by The Society of Management Accountants of Canada (CMA-Canada), The American Institute of Certified Public Accountants, Inc. (AICPA) and The Chartered Institute of Management Accountants (CIMA). Lapouchnian, A. (2005). Goal-oriented Requirements Engineering: An Overview of the Current Research. Depth Report, University of Toronto, June 2005. Lamsweerde, A. van. (2009). Requirements Engineering: From System Goals to UML Models to Software Specifications. England: John Wiley & Sons Inc.
 Pohl, K. (2010). Requirements Engineering: Fundamentals, Principles, and Techniques. Germany: Springer. Johnson, G., Scholes, K. & Whittington, R. (2006). Dirección Estratégica. 7th Edition, Pearson Educación, S. A., Spain. Kavakli, E. (1999). Goal-driven Requirements Engineering: Modelling and Guidance. Ph.D. thesis, University of Manchester, Manchester, United Kingdom. Kavakli, E. & Loucopoulos, P. (2003). Goal-driven Requirements Engineering: Evaluation of Current Methods. 8th CAiSE/IFIP8.1, International Workshop on Evaluation of Modeling Methods in Systems Analysis and Design (EMMSAD ‘03), Velden, Austria, 16-17 June 2003. Dardenne, A., Lamsweerde, A. van & Fickas, S. (1993). Goal-directed Requirements Acquisition. Selected Papers of the Sixth International Workshop on Software Specification and Design (6IWSSD), M. Sintzoff, C. Ghezzi y G.-C. Roman (Eds. ), Elsevier Science Publishers B. V., Amsterdam, The Netherlands, pp. 3-50, 1993. Chung, L. (1991). Representation and Utilization of Non-functional Requirements for Information System Design. R. Anderson, J. A. Bubenko, Jr., A. Solvberg (Eds. ), Advanced Information Systems Engineering, Proc., 3rd Int.Conf. CAiSE ’91, Trondheim, Norway, May, 13 – 15, 1991. Berlin: Springer-Verlag, 1991, pp. 5–30. Yu, E. (1995). Modelling Strategic Relationships for Process Reengineering. Ph.D. thesis, University of Toronto, Toronto, Canada, 1995. Antón, A. (1996). Goal-based Requirements Analysis. Proceedings of the 2nd International Conference on Requirements Engineering (ICRE ‘96). IEEE Computer Society, Washington, DC, USA, pp. 136-, 1996. Antón, A. (1997). Goal Identification and Refinement in the Specification of Software-based Information Systems. Ph.D. thesis, Georgia Institute of Technology, Atlanta, Georgia, USA, 1997. Mylopoulos, J. & Castro, J. (2000). Tropos: A Framework for Requirements-driven Software Development. Information Systems Engineering: State of the Art and Research Themes, Lecture Notes in Computer Science, Springer-Verlag, June 2000. Liu, L. & Yu, E. (2000). GRL - Goal-oriented Requirement Language. Retrieved from http://www.cs.toronto.edu/km/GRL/. Amyot, D. & Mussbacher, G. (2002). URN: Towards a New Standard for the Visual Description of Requirements. 3rd SDL and MSC Workshop (SAM02), Aberystwyth, U.K., June 2002, LNCS 2599, pp. 21-37. Kitchenham, B. (1996). DESMET: A Method for Evaluating Software Engineering Methods and Tools. Technical Report TR96-09, Department of Computer Science, University of Keele, Staffordshire. Delgado, M., Losavio, F. & Matteo, A. (2013). Goal-oriented Techniques and Methods: Goal Refinement and Levels of Abstraction. Proceedings of the 39th Latin American Computing Conference (CLEI 2013), Naiguatá, Venezuela, October 2013. Bleistein, S., Cox, K., Verner, J. & Phalp, K. (2006). B-SCP: A Requirements Analysis Framework for Validating Strategic Alignment of Organizational IT Based on Strategy, Context, and Process. Information and Software Technology, vol. 46, pp. 846-868. Siena, A., Bonetti, A. & Giorgini, P. (2008). Balanced Goalcards: Combining Goal Analysis and Balanced Scorecards. 3rd International Conference on Evaluation of Novel Approaches to Software Engineering (ENASE 2008). Madeira, Portugal, May 2008. Kaplan, R. & Norton, D. (2008). Integrating Strategy Planning and Operational Execution: A Six-Stage System. Balanced Scorecard Report, Harvard Business School Publishing, vol. 10, no. 3, May– June 2008. Ellis-Braithwaite, R., Lock, R., Dawson, R. & Haque, B. (2012). Modelling the Strategic Alignment of Software Requirements Using Goal Graphs. arXiv preprint arXiv:1211.6258. Grau, G., Cares, C., Franch, X. & Navarrete, F. (2006). A Comparative Analysis of I* Agent-Oriented Modelling Techniques. Proceedings of The Eighteenth International Conference on Software Engineering and Knowledge Engineering (SEKE’06), San Francisco, California, USA, 5-7 July 2006. Teruel, M., Navarro, E., López-Jaquero, V., Montero, F. & González, P. (2011). A Comparative of Goal-Oriented Approaches to Modelling Requirements for Collaborative Systems. Technical Report No. DIAB-11-03-1. University of Castilla–La Mancha. March 2011. Amyot, D. & Mussbacher, G. (2011). User Requirements Notation: The First Ten Years, the Next Ten Years. Invited paper, Journal of Software (JSW), vol. 6, no. 5, pp. 747-768, Academy Publisher, May 2011. Chung, L., Nixon, B. & Mylopoulos, J. (2000). Non-functional Requirements in Software Engineering. Monograph, Kluwer Academic Publishers. Yu, E. & Liu, L. (2001). Modelling Trust for System Design Using the I* Strategic Actors Framework. Proceedings of the Workshop on Deception, Fraud, and Trust in Agent Societies Held During the Autonomous Agents. R. Falcone, M. P. Singh, and Y. Tan, Eds, Lecture Notes In Computer Science, vol. 2246, pp. 175-194, Springer-Verlag, London. Giunchiglia, F., Mylopoulos, J. & Perini, A. (2002). The Tropos Software Development Methodology: Processes, Models and Diagrams. Agent-Oriented Software Engineering III (pp. 162-173), Springer Berlin Heidelberg. International Telecommunication Union - Telecommunication Standarization Sector [ITU-T]. (2012). User Requirements Notation (URN) – Language definition. Recommendation ITU-T Z.151. Amyot, D. (2003). Introduction to the User Requirements Notation: Learning by Example. Computer Networks, vol. 42, no. 3, pp. 285-301, June 2003. Berg, K. van der, Conejero, J. & Chitchyan, R. (2005). AOSD Ontology 1.0 – Public Ontology of Aspect-orientation. AOSD-Europe-UT-01, no. D9, version 1.0. Gil, A. (2008). Integrating Early Aspects with Goal-Oriented Requirements Engineering: The Case of KAOS. MSc. Thesis, Universidade Nova de Lisboa, Caparica, Portugal. Sousa, G., Silva, I. & Castro, J. (2003). Adapting the NFR Framework to Aspect – Oriented Requirements Engineering. XVII Brazilian Symposium on Software Engineering, Manaus, Brazil, October 2003. Brito, I. & Moreira, A. (2004). Integrating the NFR Framework in a RE Model. Early-Aspects Workshop, 3rd International Conference on Aspect-Oriented Software Development, Lancaster, U.K. March 22, 2004. Spies, E., Rüger, J. & Moreira, A. (2004). Using I* to Identify Candidate Aspects. Workshop in UML’04, Lisbon, Portugal, October 11, 2004. Alencar, F., Castro, J., Monteiro, C., Ramos, R. & Santos, E. (2008). Towards Aspectual I*. 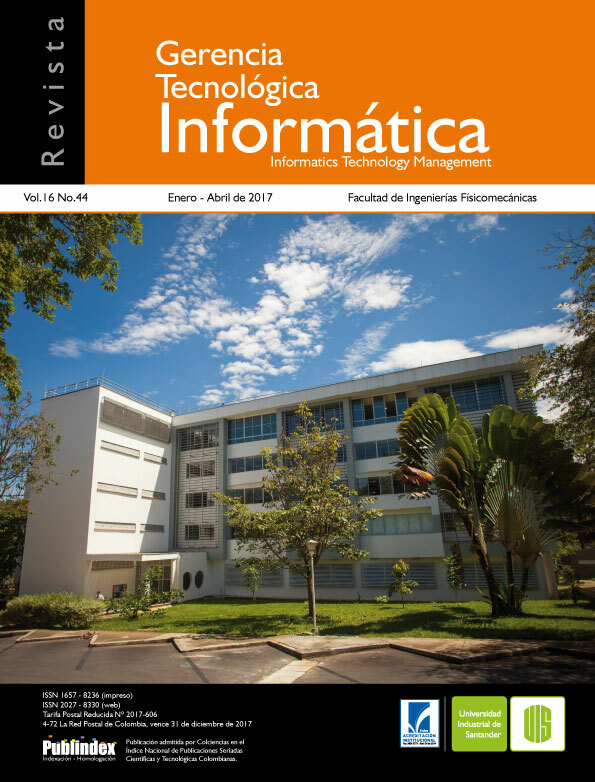 Proceedings of 3rd International I* Workshop, Recife, Brazil, February 11-12, 2008. Alencar, F., Castro, J., Lucena, M., Santos, E., Silva, C., Araújo, A. & Moreira, A. (2010). Towards Modular I* Models. Proceedings of the 2010 ACM Symposium on Applied Computing (SAC ‘10). ACM, New York, NY, USA, 292-297. Antón, A., Liang, E. & Rodenstein, R. A. (1996). A Web-Based Requirements Analysis Tool. Proceedings of the 5th International Workshops on Enabling Technologies: Infrastructure for Collaborative Enterprises (WET ICE’96) (WET-ICE ‘96), IEEE Computer Society, Washington, DC, USA, 238-. Bauer, B., Muller, J. P. & Odell, J. (2001). Agent UML: A Formalism for Specifying Multiagent Interaction. Agent-Oriented Software Engineering, Paolo Ciancarini and Michael Wooldridge Eds., Springer, Berlin, pp. 91-103. Mussbacher, G. & Amyot, D. (2009). On Modeling Interactions of Early Aspects with Goals. Proceedings of the 2009 ICSE Workshop on Aspect-Oriented Requirements Engineering and Architecture Design (EA ‘09). IEEE Computer Society, Washington, DC, USA, 14-19. Mussbacher, G. (2010). Aspect-oriented User Requirements Notation. Ph.D. thesis. University of Ottawa, Ottawa, Ontario, Canada. November 2010. Roy, J., Kealey, J. & Amyot, D. (2006). Towards Integrated Tool Support for the User Requirements Notation. R. Gotzhein, R. Reed (Eds.) SAM 2006: Language Profiles - Fifth Workshop on System Analysis and Modelling (May, 2006), Kaiserslautern, Germany. LNCS 4320, 198-215, Springer.